Made for use with Non-flammable PUREFIRE™ fuel. SKU: WF-899-SS. Category: Fire Accessories. 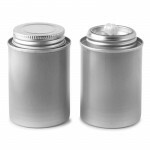 EcoFlame Replacement Cup w Refillable Wicked Canister Insert. For use with PUREFIRE™ bio-lamp oil fuel only. Extremely long burning, approximately 4.5 hours per 140 ml fill. • Screw on cap protects fuel and wick from rain and debris…and functions as a snuffer. • Additional Steel Lid covers entire Cup and Canister. 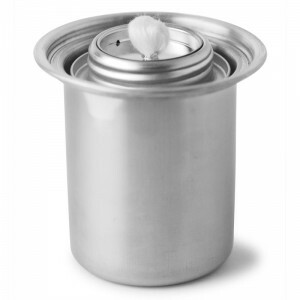 • Stainless Steel Cup fits most brands of FirePots. 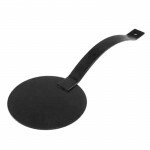 • Refillable – simply pry up wick plate, add fuel, and reinsert wick plate. • Environmentally friendly – burns clean and virtually smoke free, with no smelly or toxic emissions. • Intended for outdoor use, but can be used indoors in well ventilated areas. • Easy & Safe to use – PUREFIRE™ bio-lamp oil wicks quickly with no risk of flash fire or explosion. • Long Burn Time – 4.0 to 4.5 hour burn time per refill depending on how wick is adjusted and the wind conditions when burning. The perfect upgrade for most brands of FirePots originally designed to burn pourable gel ethanol fuel. Make your own Patio Torch, FirePot of Decorative Fire Device with these inserts. Perfect component for potters and sculptors. Refer to alternate image which shows schematic of components. Important: As always, with ANY type of fire device, read and heed product label warnings and directions for SAFE and efficient use of this product. USE ONLY PUREFIRE™ bio lamp oil fuel. 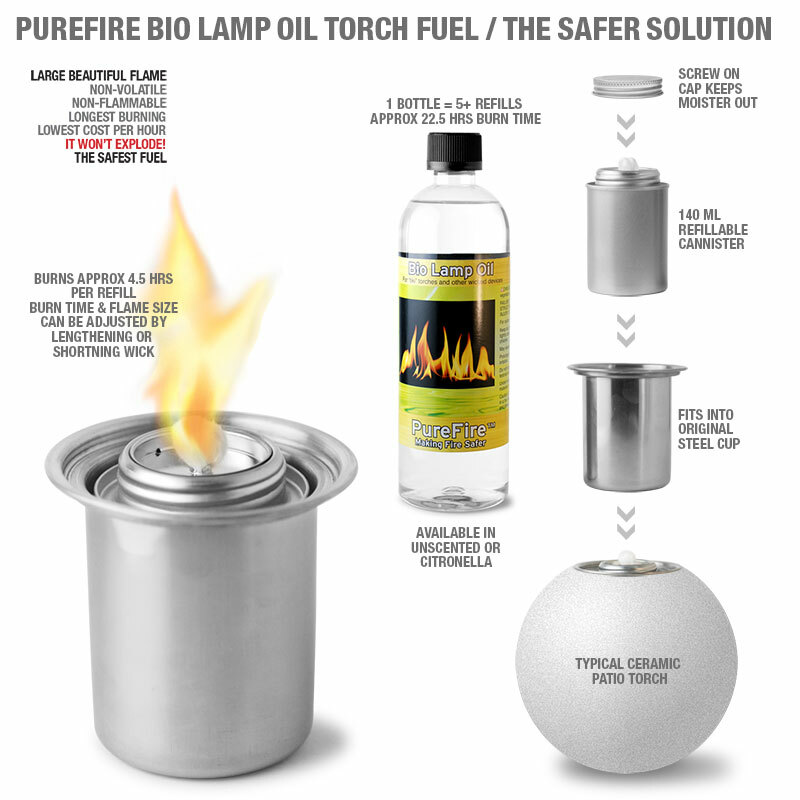 PUREFIRE™ BIO-LAMP-OIL FUEL is non-flammable, yet combustible & burns with a lively bright yellow flame. Much safer than ethanol or even gelled ethanol in cans, it burns longer, with a prettier flame and has the LOWEST COST PER HOUR OF USE of any fuel. Recommended primarily for outdoor use. It is available in Unscented & Citronella. Video below shows exactly how the flame looks for the entire length of the burn. Note this 140 ml canister insert will burn like this for approximately 4.5 hours.